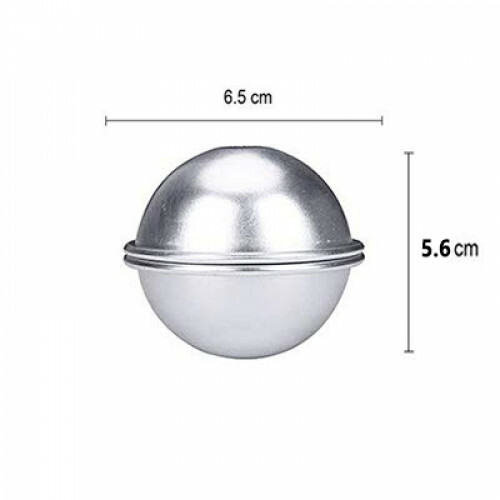 Large Aluminium Alloy Dull Silver Tone Bath Bomb Mold. Multifunctional molds to be used for DIY bath bombs or other sculpture building. Made from sturdy aluminum metal, long-lasting, durable, safe and easy to use. RECIPE:-First, mix the dry ingredients (baking soda, epsom salt, clay, corn starch, and citric acid) together in a large bowl. Now mix up the wet ingredients (oil, water, essential oil, and coloring). Slowly add the liquid to the dry mixture. Stuff that bath bomb mix into your aluminium molds ASAP after open the mold and Let the bath bombs dry.